The ultimate question: Are you #TeamAnastasia or #TeamBenefit? If you're undecided, maybe this review will help you decide which brow pencil will help you achieve your ideal fleeky-ness. 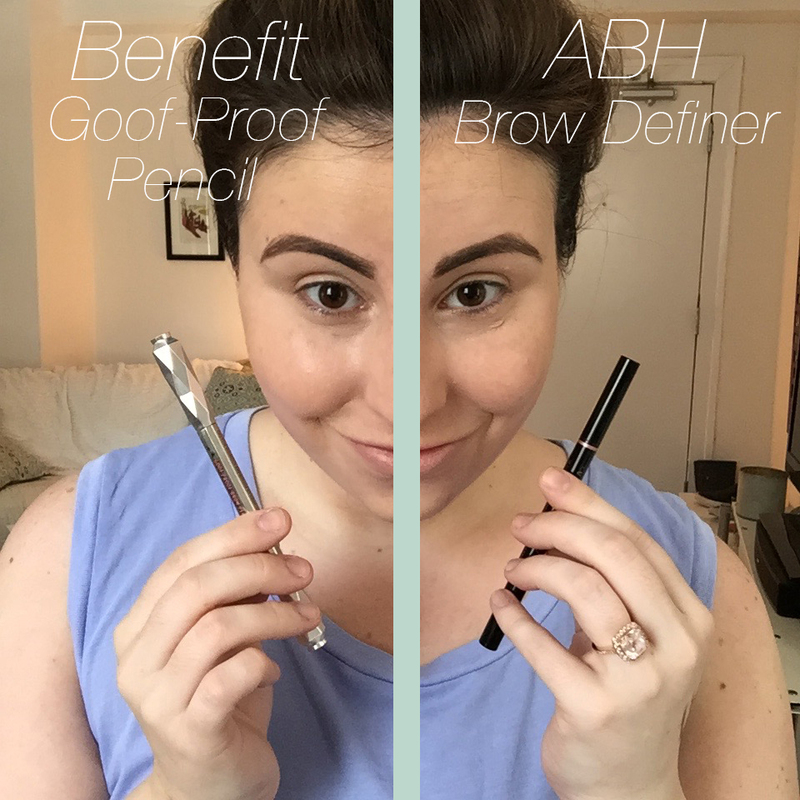 Read more to see how the Anastasia Beverly Hills Brow Definer in Dark Brown compares to the new Benefit Cosmetics Goof-Proof pencil in #4. I've never met a brow product I didn't liked. Well, let me re-phrase that...I've never met a high end brow pencil I didn't like. ABH and Benefit products have always been in my arsenal to achieve my signature bold brow. For the past year, I've used ABH pencil products while trusting the technicians at Benefit Brow Boutiques with grooming my brows. But when Benefit released their whole new line of brow products, I had to see how they compared to my current ABH fav. First, the packaging. I LOVE Benefit's new packaging for all their brow products. They are heavy, luxe and look stunning in your makeup bag. The shape of these brow pencils is what makes them unique. 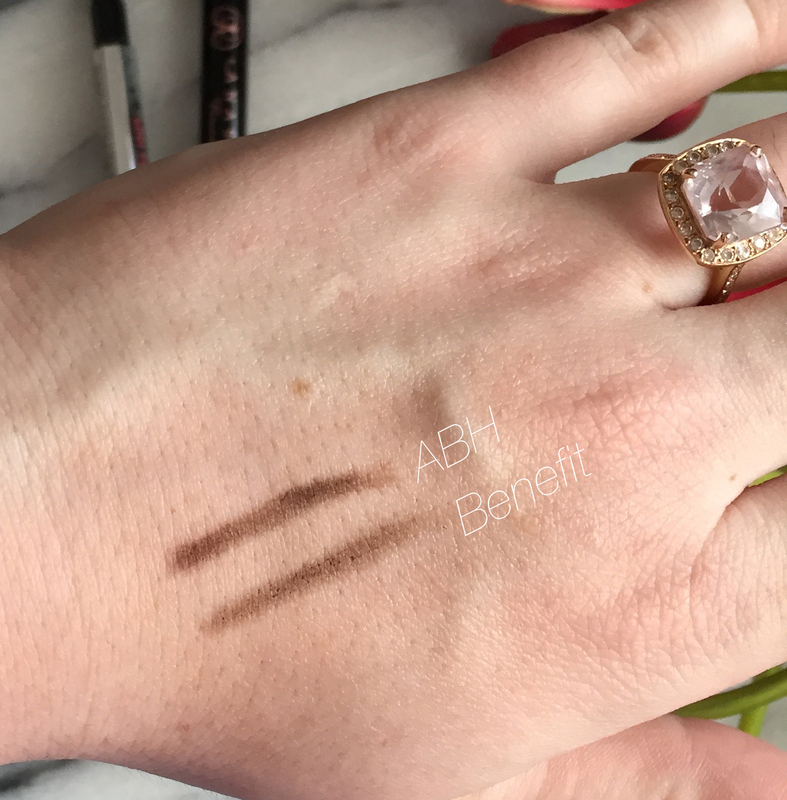 The ABH Brow Definer is triangle-shaped while Benefit's is more tear drop-shaped. Personally, I don't find the shapes to benefit one over the other, but I find the Brow Definer's shape to allow for thicker brow strokes. Next: the formulas. There are pros and cons to both formulas. Let's start with ABH: This formula is ultra-creamy and extremely pigmented. The swatch above was achieved with two strokes of the pencil. This formula is great for those who want to achieve a more bold, highly-pigmented brow. You have to use a light hand with the product. If you don't use light strokes, you can go overboard very quickly and you'll end up with dark, block-like brows. The Benefit formula is more dense (if a formula can be dense?) The pigmentation is not as strong as the ABH formula, but I consider that to be a good thing as it's harder to add too much product. The swatch above was actually five or six swipes. You can see the product balled up a bit after swatching it, but that's never happened when I've used the Goof-Proof on my brows. This formula is also waterproof which is great of us sweaty gals in the hot summertime. The formula may look as dark in the comparison below, but I did build up the product to my desired darkness. So, which one is my favorite? To be honest, I like both equally. 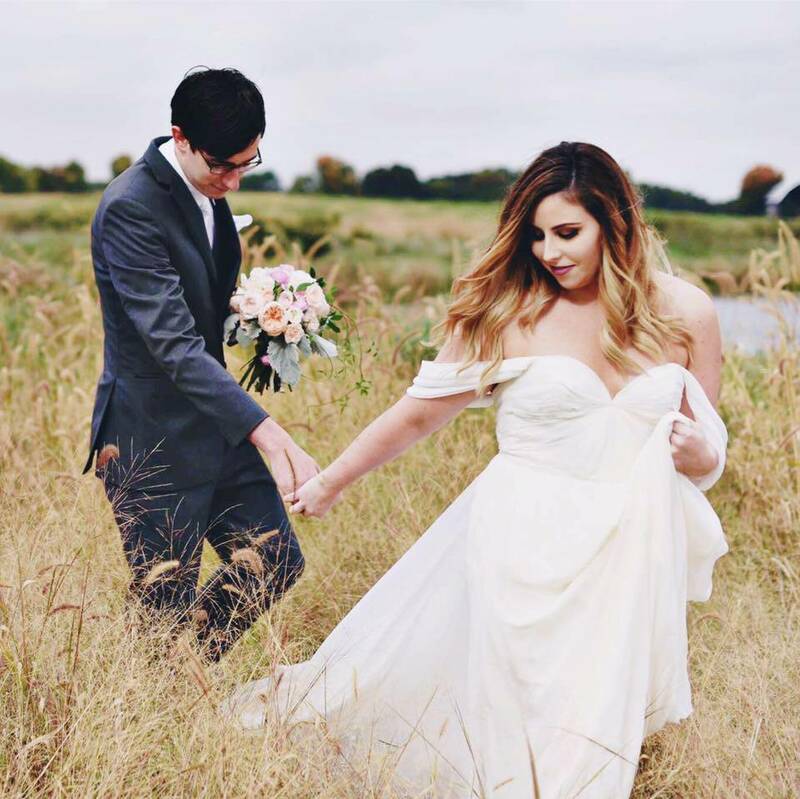 There isn't a HUGE difference between them to make my love one more than the other. I know my personal opinion isn't the most helpful, but hopefully my final thoughts below will help you decide which brow products is right for you. If you're a beginner looking for a more natural and tamed brow, go with the Benefit Goof-Proof. If you're into a bold and defined brow, go with the ABH Brow Definer. I hope you found this brow battle helpful! If there are any other products/brands you want me to pit against each other, let me know in the comments below!